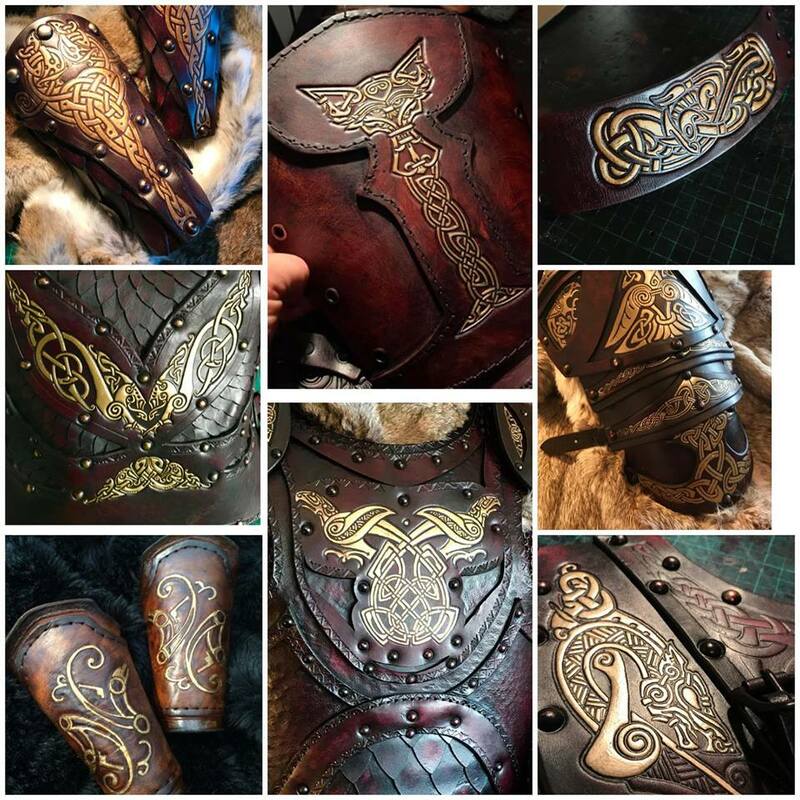 The Bjorn SCA Leather Vambraces are one of the most unique designs to be offered by Black Raven Armoury , this has been professionally dyed and built for you by ourselves. Created & designed by Alex Agricola, the whole set is made of premium grade top grain Veg Tanned leather (laminated to a minimum 6mm thickness) . Created by Alex Agricola, from one of his favourite designs. 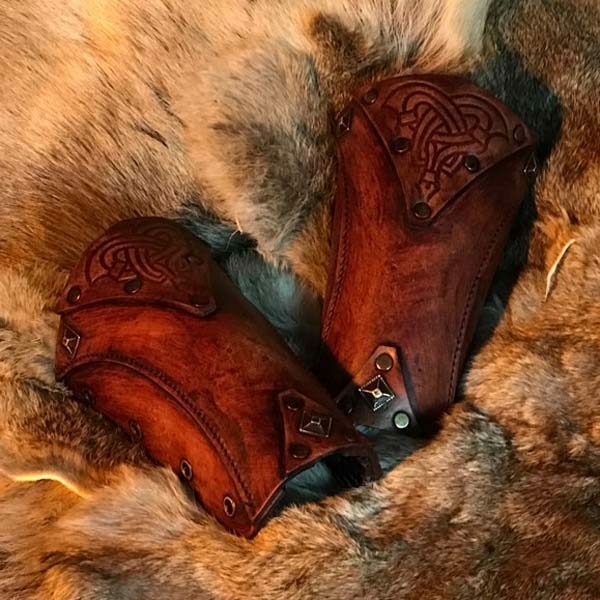 The Bjorn SCA Leather Vambraces are crafted from premium grade top grain Veg Tanned leather (laminated to a minimum 6mm thickness) . 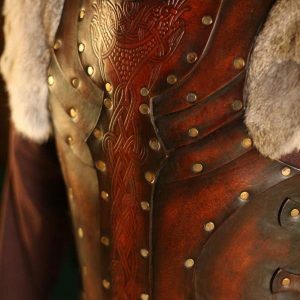 Paired best with The Bjorn Full Set Leather SCA Armour, these Vambraces are also available as a stand alone accessory. 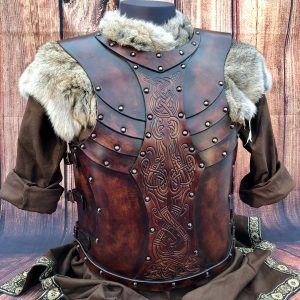 The Bjorn SCA Leather Vambraces are perfect for anyone looking to up their re-enactment game. They are not only versatile and practical they are visually striking with a subtle embossed design.